With oil prices likely to stay at over $100 a barrel and climb in the future, ways of reducing fuel consumption of the lift truck fleet are at last coming under the microscope. Gay Sutton reports on initiatives large and small that can have a cumulative impact on costs. In April this year, the price of oil broke the $100 a barrel barrier and hit the $125.9 mark as unrest in Libya interrupted supply to Europe. 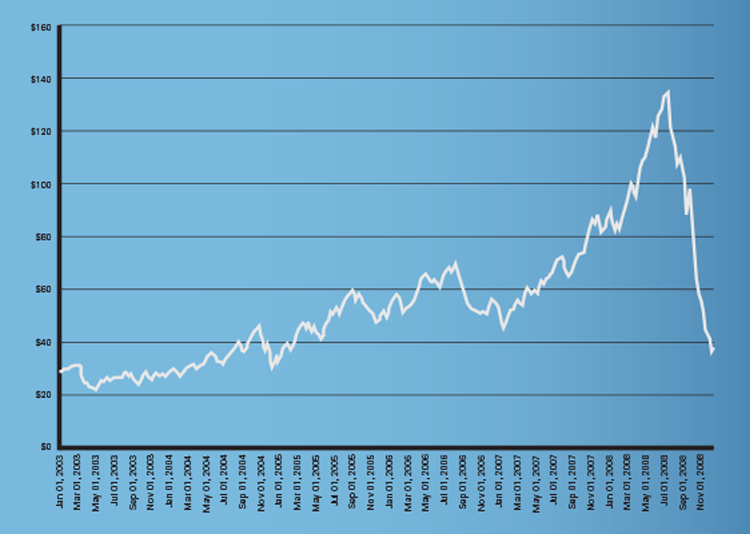 Oil prices, like those of any other commodity, are largely dictated by the forces of supply and demand. Falling supply forced prices up. Meanwhile, when demand slumped dramatically during the global economic recession of 2008 to 2009, prices plummeted to a low of $30 a barrel. At the time of writing the price of Brent Crude, which is used to as a benchmark for two thirds of the world’s oil prices, had fallen to $106 a barrel in response to US and European economic concerns. Although it will always be susceptible to economic or political events, there is a more serious underlying trend that will ultimately dictate prices. Projections from Macquarie Capital which are based on current data show that demand is relentlessly increasing and my well eclipse supply sometime in the next 5 to 10 years, inescapably forcing prices up further. With these gloomy prospects for the future, it makes sense for companies to turn their attention to reducing the fuel consumption of their forklift operations, as part of a company-wide initiative to cut energy consumption. “There is no single solution that will save litres of fuel,” explained Remke Van Ommeren, product manager at Crepa, Cat® Lift Trucks dealer for the Netherlands. “However there are a number of things that can be done which in combination can reduce fuel consumption by a significant percentage.” Many of these are inevitably a matter of common sense and operational discipline, such as using the right vehicle for the job. Driver habits play a big role in fuel consumption. The way an operator may gun the engine to increase the power, for example, can be heavy on fuel. And the bigger the truck the more expensive that can be. Leaving the engine running is another. While loading and unloading goods, leaving the engine running is an essential part of forklift operational efficiency, but it makes no economic sense to do the same when the truck is not in use or while the driver is on a lunch break. Instilling the discipline of parking up and switching off a truck that’s not in use requires a proactive workforce of drivers who not only understand what is required of them, but are also motivated to put the disciplines into action. And this requires informed and well managed supervision. It makes no economic sense to leave the engine running when the truck is not in use or while the driver is on a lunch break. 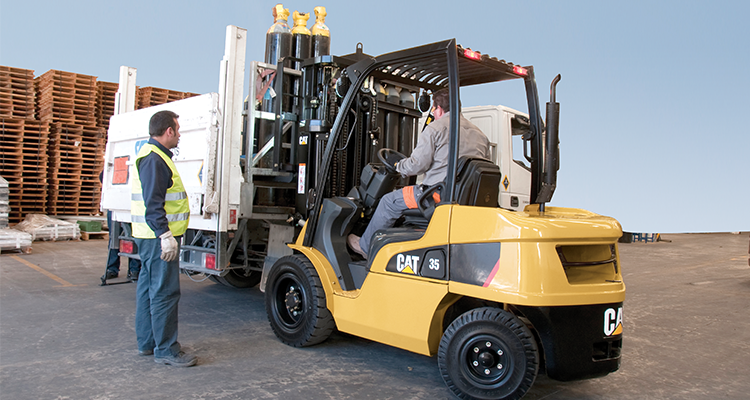 Meanwhile, many lift truck training providers now include elements of environmental best practice and fuel efficiency in their training programme, so either look out for that optionor incorporate it into your in-house training schedule. According to Ommeren, a similar system is in operation across the Netherlands’ Airports. Whenever a forklift truck, or any other airport vehicle for that matter, is refuelled, the refuelling company not only issues a regular invoice for the fuel, but also issues a report detailing each truck number, its department code, how much fuel was required to fill the tank and when the refuelling took place. Another big factor governing fuel consumption is the layout of the site and the distances trucks travel on a daily basis – regardless of whether that’s a warehouse, factory or construction site. And this applies just as much to electric forklifts as to internal combustion engines trucks outdoors. In a new facility the layout should already be optimised. But it is still worth regularly reviewing traffic routes and the relative position of storage areas, forklift parking areas, goods-in points and delivery points across the site, particularly if there are frequent new product introductions or new jobs etc. Structural alterations to a site may not be cost effective or feasible, but simple changes to traffic routes or lift truck parking areas, for example, that can result in a substantial journey shortening and fuel saving. And this can be even more productive in an older facility. “If you have an old warehouse, for example, your forklifts may be travelling around three sides of the warehouse delivering goods,” Ellison said. “Changing the traffic circuit could shorten the route considerably, and reduce fuel consumption.” He also suggested bringing in a fresh pair of eyes to take an unbiased look at the efficiency of the operation – someone from elsewhere in the company or even from outside, whose perceptions are not coloured by working all day on the job. 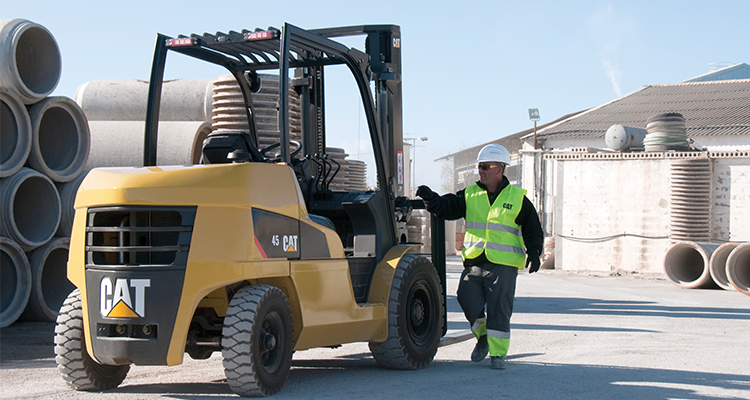 From the management perspective, there are a number of things that affect the efficiency of the forklift truck. Many people may be tempted to make savings by cutting back on maintenance, but it’s a false economy. An engine that is maintained according to the manufacturer’s maintenance manual, with daily operator checks as well as regular scheduled maintenance, tends to run more smoothly, will be much more fuel efficient and less likely to break down. “With good quality fuel,” Van Ommeren said, “the engines remain very clean and run better. Therefore they consume less fuel.” And interestingly, statistics show that bad quality or worn tyres can increase rolling resistance which increases fuel consumption by 10% to 30%. On an electric truck, this effect can easily be monitored as the amperage increases with increasing resistance. With a diesel truck, the effect is not so easy to gauge. So purchasing good quality tyres that are appropriate for the environment, and changing them when worn can result in cost saving. Finally, lifting and tilting, side shifting, positioning and clamping manoeuvres all consume more fuel than driving. So it’s worth ensuring that heavy loads can be stored as near as possible to the floor surface and that unnecessary lifting and side shifting manoeuvres, for example, should be avoided as much as possible. There is currently a lot of research going on into changing and improving the current engine technologies, and into hybrid engines. But Ellison doesn’t believe that any major change is imminent. “These technologies are still largely experimental,” he said. “And at the end of the day, I believe it will be another five or 10 years before they come through in any sustainable way. So operators will continue to look at the costs of electric power versus LPG versus diesel over the next few years, and of course their final decisions will come down to operational requirements. 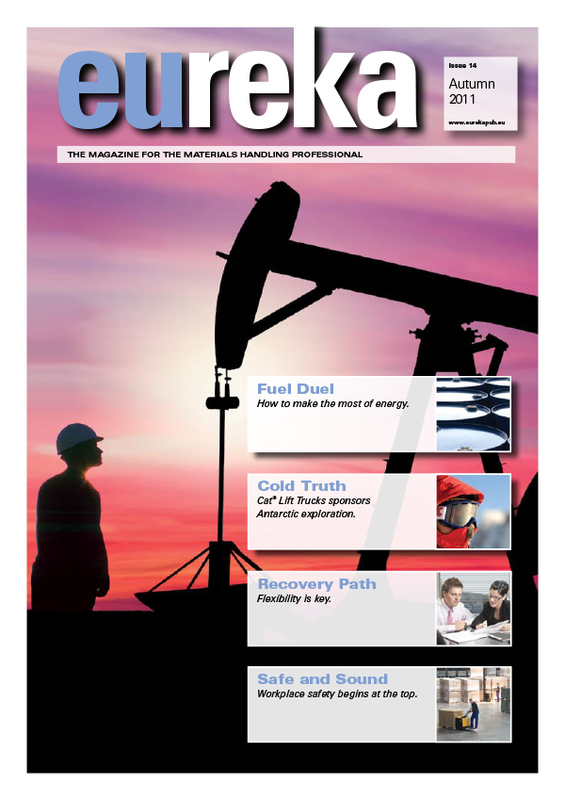 This article appeared in the 2011 Autumn edition of eureka magazine.